Beautiful! 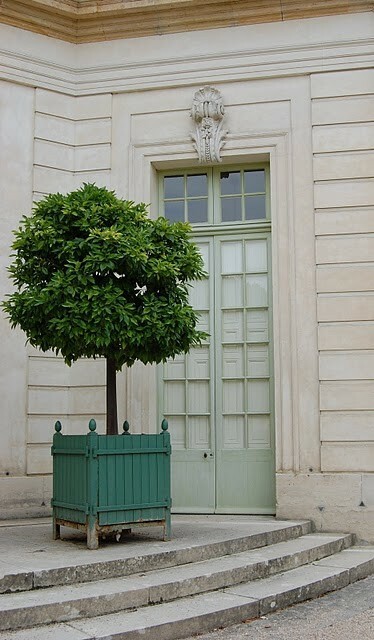 Makes me want to paint my door green! 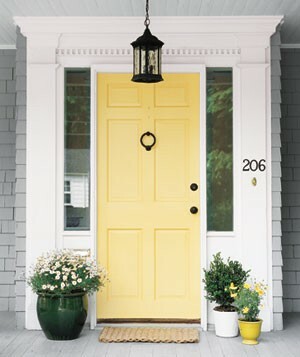 Love the Pop these colorful doors bring to the exteriors of these houses! When we built our home, a colonial reproduction, we painted the clapboards a soft gray and the front door a shade of Bermuda turquoise. That was not the exact color, because Ben Moore didn't carry it back then. 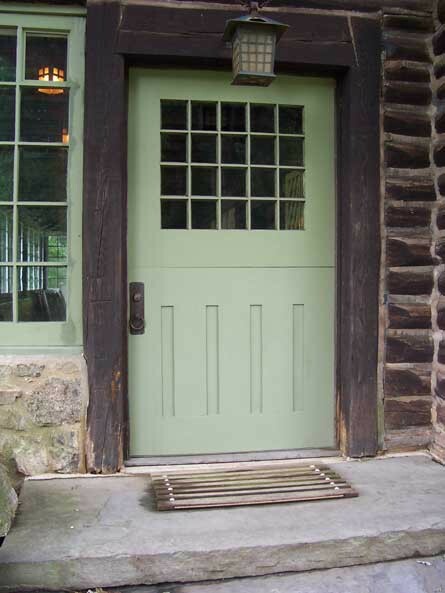 When doing research on the era of our home, we were told that homeowners could not affair pigment for their whole house, so they would go very bold for the doors. Love the idea of a painted idea, I personally like the "milky" or toned down colors as opposed to anything super bright but its more about getting the color just right. I have been in love with the aqua door forever. If I only had the you know whats to do it! I love colored doors. They add great curb appeal. oh! you caught my eye with the blueprint cover. 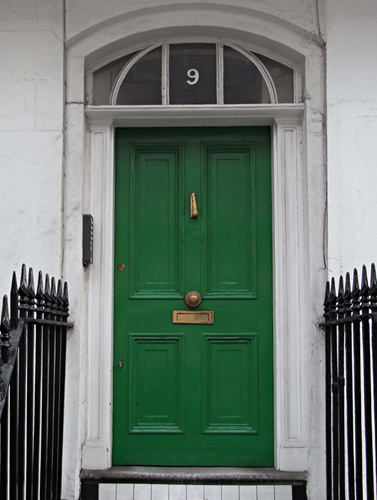 i love colorful front doors! Oh LOVE the second door! Almost a pale Tiffany blue. 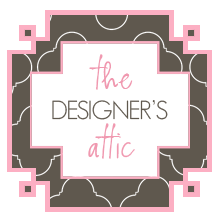 Love all the colors and blog! 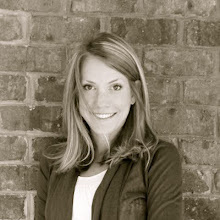 I am in love with the third door image... and what a beautiful blog you have. We painted our back door Ben Moore St Lucia Teal. Love the pop of color! We live in a white brick cape-style home, with black shutters and a slate roof. The previous owner painted the door a bright blue that makes me think of Mykonos, or another Greek seaside town. It's beginning to chip, and although people compliment the color all of the time, I can't decide whether to change it or stick with what we have. These are some wonderful inspirations! I painted mine an awesome BM shade of CORAL....it looks FAB + my hub didn't flip when he came home + the door was "hot pink" - he said in his humble opinion! I say go for the best POP of color your heart desires! I recognize a few of these images...I'm pretty sure I have them in a binder somewhere. 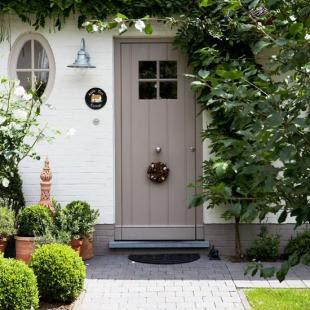 I LOVE painted white brick...a blue door would be amazing! 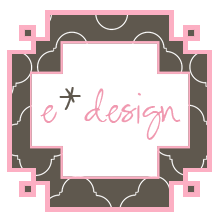 Where can I find photos of the exterior of your house on your blog? 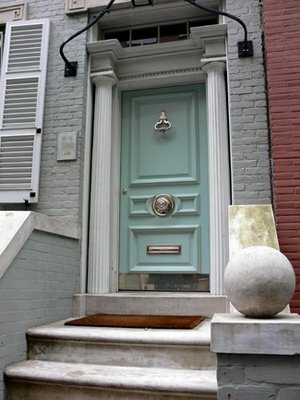 Nothing better than pretty front doors. 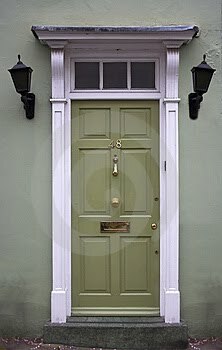 That last pic inspired me to paint my front door yellow but it just doesn't look that great. i'm thinking of black, now. Every year it's a new color - ha! 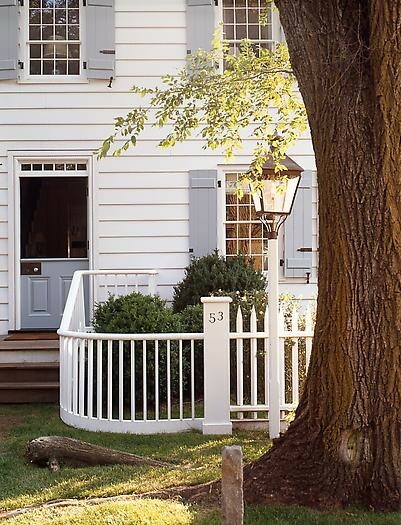 The first image is perfect inspiration for a fence in addition to the front door. Thanks for the image! 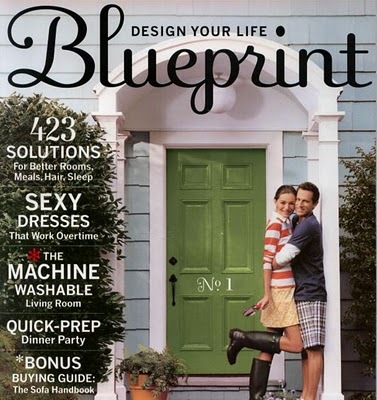 The Blueprint magazine cover came out when we bought our first house. I loved it so much we painted it to match! Where did you find the 5th image? I love it!